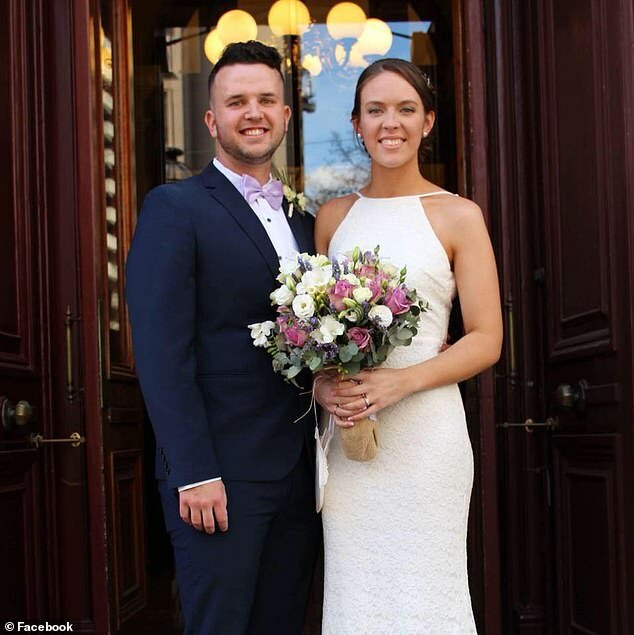 An Australian newlywed couple have left comedian James Corden stunned after they revealed their very raunchy engagement story on his show. 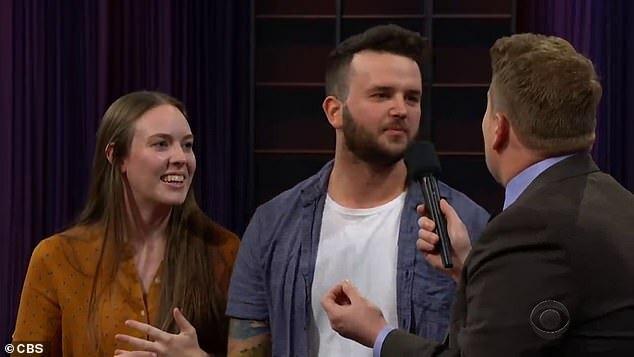 Melbourne couple Matt and Marissa – who were enjoying their ‘belated honeymoon’ in LA after tying the knot in September last year – appeared on The Late Late Show with James Corden last week. 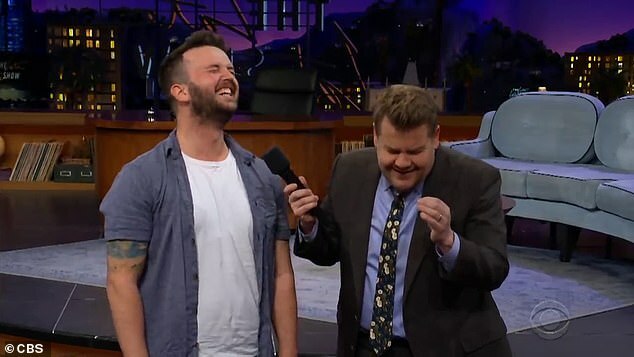 During the ‘None of the Above’ segment, James invited Matt on to the stage where he played out what really went on behind their ‘hot-and-heavy’ proposal. Clearly confused, James asked: ‘Hang on, I have so many questions. It’s your car, why are you both in the back? Matt explained the couple had parked their car in a ‘fruit picking area’ of a ‘farm’. ‘Hang on, hang on, hang on… Where are you? What farm area? Who goes to a farm area to watch a film?’ James questioned. 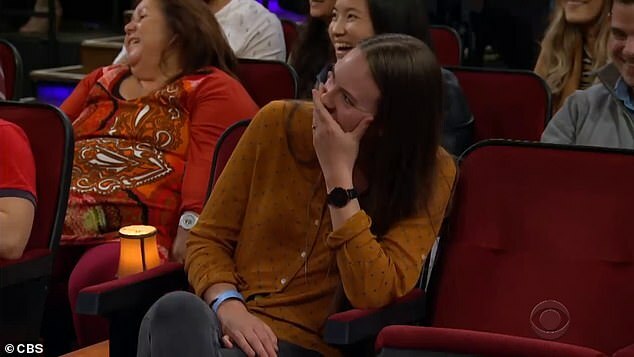 Still puzzled by the scenario, James called Marissa – who broke into hysterical laughter in her seat – up on stage for a better explanation. Matt explained how he couldn’t get down on one knee, so he decided to pop the question anyway after pulling the ring out – and Marissa said ‘yes’.